The Gripfast range is designed to offer customers a quick and easy solution for an aesthetically pleasing edging solution for metal panels, plastic sheet and GRP constructions. 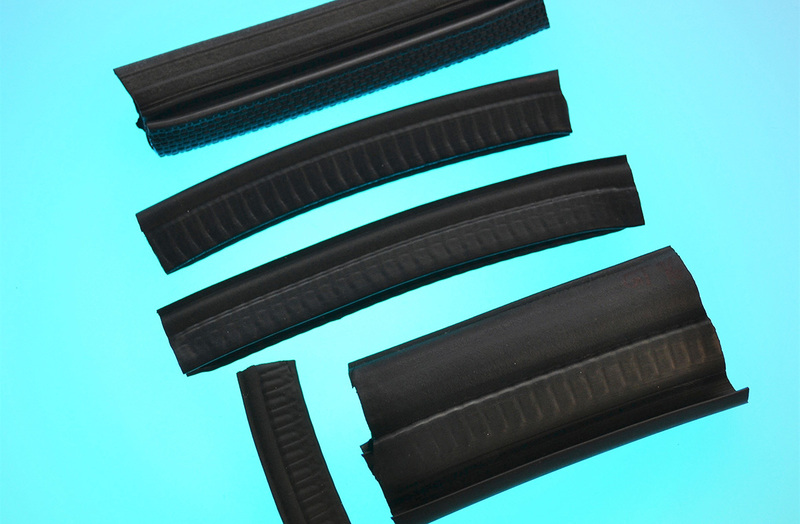 Whilst we offer a wide array of plain elastomer edging solutions as detailed in our Extrusions profile section, Gripfast profiles incorporate a metal reinforcing strip that allows the profile to be pushed over the panel edge and then pinched together to hold it in place. See our Gripfast Extrusion Profiles below in the data sheet links for techical specifications.